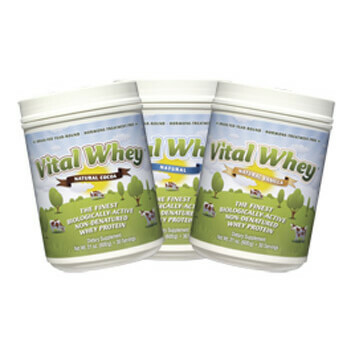 Vital Whey® is a delicious, 100% natural nutritional protein perfect for adults and children. Vital Whey® is the finest biologically-active, non-denatured native whey protein®. It is minimally processed to maintain the full range of all the fragile immune-modulating and regenerative components naturally present in fresh raw milk. Vital Whey® Cocoa is made with Proserum® The Finest Whey Protein available. I use this product before and after every work out. Great quality and truly enjoyable taste. I’ve been using Vital Whey Cocoa for 4 months now and absolutely LOVE it! 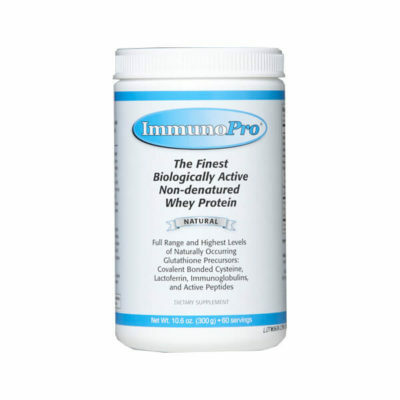 I’ve tried many whey proteins and this is by far the BEST! Comes from grass-fed cows, mixes well, tastes great, all natural…what more could you ask for. Great product! This is by far the best Whey protein I have ever tried. Not to mention its from grassfed cows and its not been turned into isolate. I love it!! I have researched & tried many (whey) protein powder brands over the years & once I found Well Wisdom, I have been a loyal customer ever since. 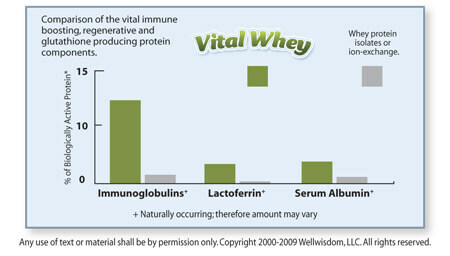 It is the purest whey & delicious! 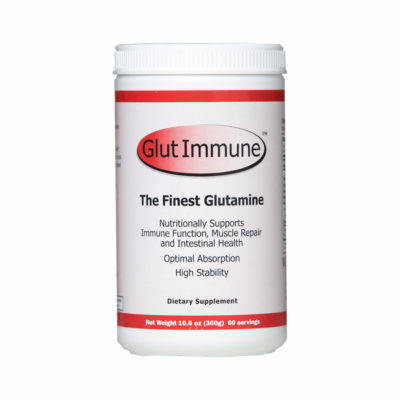 I am grateful to have found such a wonderful product that I highly recommend to friends, family & clients! 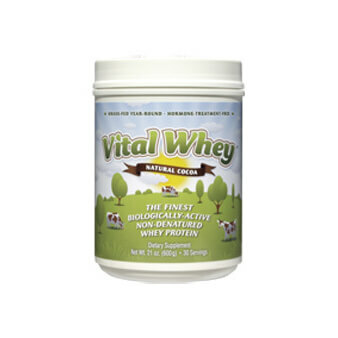 vital whey is the best tasting and the most healthful i have had. the fact the cows are grass fed was very important to me. it makes excellent smoothies. frozen strawberries a scoop of chocolate whey chocolate almond milk and sweetener of your choice and enjoy! very low cal. Easily mixes into milk using the low speed setting on the blender. The chocolate taste is smooth and creamy, one of the very best I’ve ever tasted. I love that this product is clean and from grass fed whey. Now, only if it could be from a raw milk source…it would be perfect. Mix with water, ice, raw organic maca powder, some more raw unsweetened coco powder, raw organic coconut oil, organic coconut milk, other powdered forms of nutrients (L-Caritine, D-Ribose, Potasium with Mg, etc.) about a thin inch of raw frozen pasture-raised liver, and blend well in a high speed blender. Excellent!